Hits Starring The Osmonds & The Comedy Of Chipper Lowell is no longer playing in Branson. 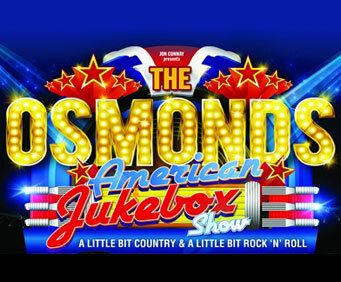 Join Merrill, Jay and Jimmy for a Little Bit Country and a whole lot of Rock 'n' Roll at The Osmonds: American Jukebox Show! Direct from the USA, the Osmond Brothers are back by popular demand, bringing Branson audiences an energetic performance of their unforgettable hits, including "One Bad Apple" and "Down", as well as chart topping classics! 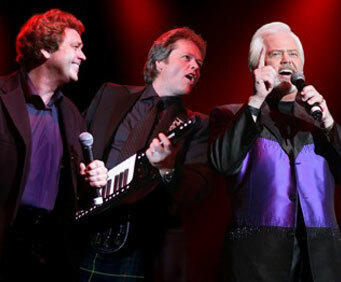 Having recorded over 200 albums and selling over 100 million copies, the Osmond Brothers are no strangers to the stage. World-class performances along with talented vocal numbers make the American Jukebox Review a show that you won't want to miss! 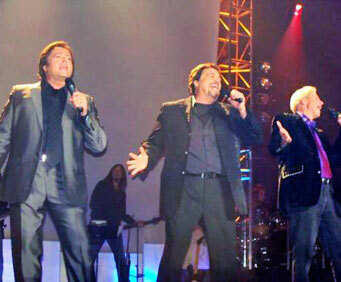 I'm 57 years old and waited all my life to see the osmonds perform. It was worth the wait. I was apprehensive of the comedy act. Kenny rogers had an act with his concert in fort worth 30 years ago that was foul-mouthed. Chipper lowell was genuinely funny. I really appreciated the greet and meet in the lobby after the show.